If you’ve tumbled down the rabbit hole that is collecting and playing modern board games, it’s only a matter of time until you come across the great beast that stalks us all. Working with it can be one of the greatest thrills, as well as one of the greatest drains to your wallet, you will ever encounter in this hobby. I’m talking, of course, about Kickstarter. To the uninitiated, you may be unfamiliar with its pitfalls and how to get the most out of it. Or maybe its effects on one’s finances are already well known to you. Whether you are new to serious collecting or are a long-time vet looking for ways to stem the spending, you can use these tips and techniques to get the most out of your Kickstarter purchases. If you are already familiar with Kickstarter, nothing in this section will be particularly novel for you; feel free to skip ahead to the tips below. If you are unfamiliar with Kickstarter and need a rundown, it’s a crowdfunding website that allows creators to “pre-sell” their products to potential backers. Any creation, from bags to board games to indie movies, can be put up for backing. Interested persons can pledge a particular amount of money, tied to the rewards they expect to get from the campaign, and at minimum usually receiving a copy of the finished product. If the project receives enough pledges to ensure the funding goal is reached by the end of its campaign, backers’ credit cards are charged; if the campaign does not succeed, backers don’t pay a penny. Kickstarter campaigns often contain what are called “stretch goals,” as well. That is, if enough funding is received in excess of the initial funding goal, additional goals levels can be achieved. Popular projects can unlock all sorts of nifty extras that backers typically receive for free with their standard rewards. Reward packages can range from, in the context of board games, $50 for a basic copy of the finished game to $100+ for premium packages containing custom dice, playmats, metal coins, and other optional add-ons. When you weight spending about $100 to get three or four board games from a standard online retailer with free shipping to spending the same amount or more on a single game and its extras, you can see how things can get real pricey, real fast. Now what would you say if I told you some people back dozens of these campaigns in a year, in addition to the games they purchase through retail? Maybe you already see yourself starting down this road. Knowing is half the battle, so here are some tips to help you deal with the other half: how you can take control of your wallet back. Good for an occassional buy. Probably not a sound, long-term purchasing plan. Forgive my liberal use of a wonderful Beatles title, but you really do need to give things some time. Hype is a very powerful thing, and it’s easy to lose your head over a game if you spend too much time on Facebook, Reddit, or BoardGameGeek. You need to be aware of a key reality: after the campaign ends you will have to wait 8-12 months for the finished product to arrive. It needs to go to the manufacturer. They need to send samples back for checks and quality control (preferrably several times even if things are going well). It will take time for final production and shipping. And then the game creator will need to see it distributed. Nevermind delays in any of the aforementioned steps. These. Things. Take. Time! Are you still going to be as interested in this game a year from now? Take a moment to envision yourself there. Are you planning to buy any games in the near future that might fill that same void? Sleep on it. Think it over for a couple of days. Campaigns last around a month on average, so you have some time. You’ll be much more satisfied with your purchase if you come at it with a level head. My copy cost me nearly $200 with all the extras I tacked on. In my defense, I don’t own a huge CMON game full of gorgeous minis, so I decided to treat myself on this one. Would all the extras mean the same to you, though? If you’re having trouble deciding which games to get and on which to pass, consider making a list. Put down the big “pros” next to each and think on how weighty each of those pros are to you. If exclusive minis are more important than a neoprene playmat of the board, be sure to bump those games higher on your list. If you only have so much money for the month, you want to make sure you get the most for your moolah. Sometimes the simple act of writing down your favorites and ordering them in a list, physically, is all it takes to see the merits of one over another. Try it and see how much better it is than working it out purely in your head. Do You Really Need Another Game In That Genre? Maybe you want to be the king or queen of worker placement games. There's certainly nothing wrong with owning many different variations of a mechanic or theme, and indeed I've seen it's not uncommon for board game collectors to allow this in their favorite category. However, if you've got limited shelf space or, like many of us, limited availability to get a game off the shelf and actually played, in addition to the money issue, you may want to consider if you really need that 20th trick taking game (and incidentally kudos for even finding 20 trick taking games to purchase). Is the artwork just something you can't pass up when combined with your favorite mechanics? Maybe you should pass on something else and bump this higher on your list, then. Or maybe you can pass on this one after all. Look! A board game budget! Google is incredible. Have a plan and stick to it! All the helpful tips and creative budgeting won't help if you can't stick to them. After all, in the end no one can force you to spend wisely or save your own money but you. It'll be tough at the begining as with any new habit. But if you can remain critical of your purchases and your spending, you'll cherish the games you do buy all the more. Was this article the Kickstarter intervention you needed? Have I missed something critical? 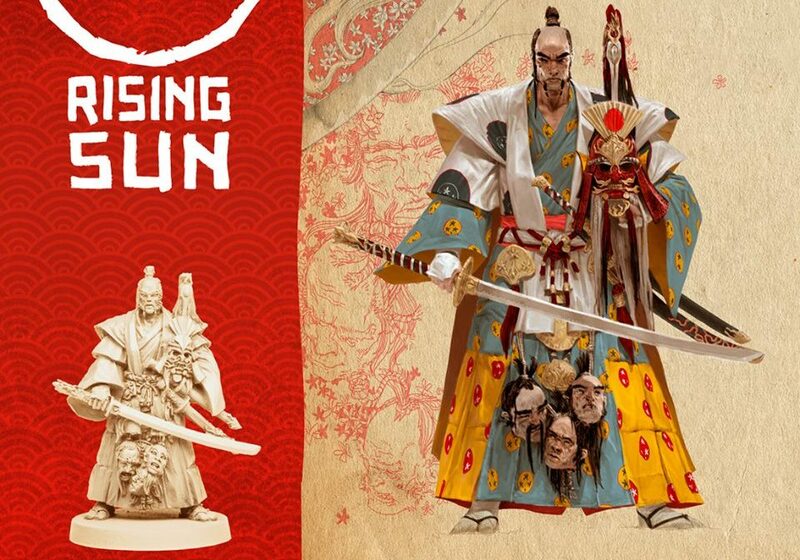 Do you think I'm just plain crazy for dropping $200 on Rising Sun? Leave us a comment here or on our Facebook page and let me know! If you really like what we’re doing, please consider supporting our Patreon. We like to keep our content add-free, and even just a dollar helps a lot. (and yes, I appreciate the irony of mentioning Patreon after an article on saving money as much as you do).